BooleanBites Ltd built the Imagitor app as a Free app. This SERVICE is provided by BooleanBites Ltd at no cost and is intended for use as is. BooleanBites Ltd built the Ellow app as a Free app. This SERVICE is provided by BooleanBites Ltd at no cost and is intended for use as is. This question can come across your mind many times, while you want to share a simple photo with some arabic caption on it. 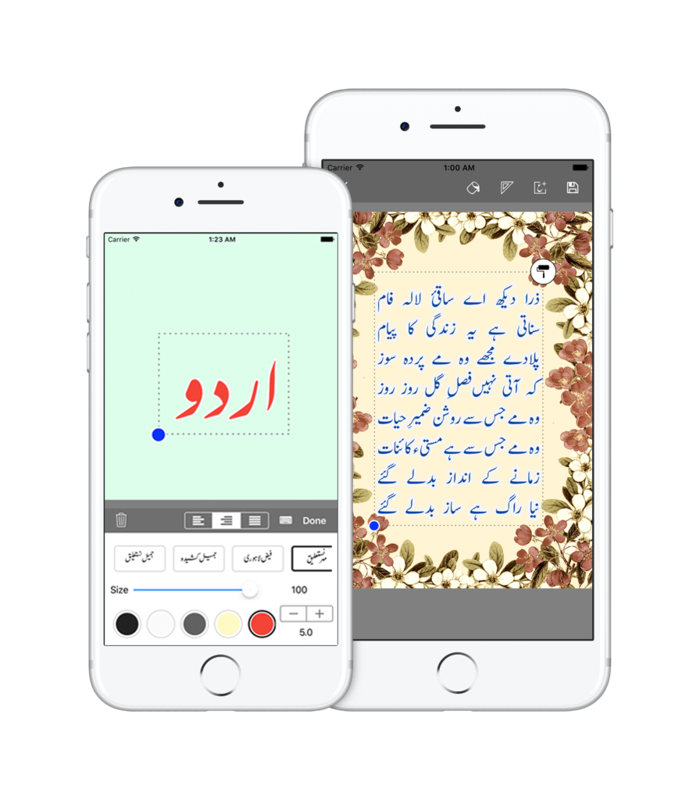 There's no built-in app there on iPhone OS that can add arabic text to photos. Well we've made a nice app that can let you do that in seconds with few taps. Here's how you can add text to photos using iPhone. Select and open your photos in editor. Select the 'Add Text' option from bottom toolbar. Change font, color, stroke, border, and many customization. Imagitor is a great tool to add text to your photos. Be more creative and let your imagination design your next facebook post, business card, event flyer, motivational quote, fan poster or political review using Imagitor. I had been using android for 2 years, but when I switched to iPhone, one thing I noticed is the lack of Urdu editing tool on iPhone platform. 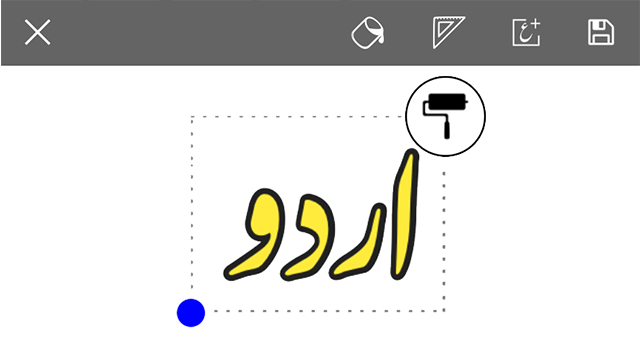 Being a iOS programmer I felt the need of basic Urdu editing utility for iPhone and made a very basic version of Urdu Editor. Later, I enhanced the idea and added many fonts, size, border and color option. After sometimes of using it, I decided to release it for the public. I finalized and released it on apple store. This app is available for free on apple store to download. What is the future of AirPod? Apple introduced AirPod after killing the century old headphone jack. This is really a bold move by apple by repeating their courageous tradition of removing what doesn't make their products great. It stirred up internet anger and also raised some eyebrows. Large number people are angry, but few are quite impressed by the technology and its future with apple. 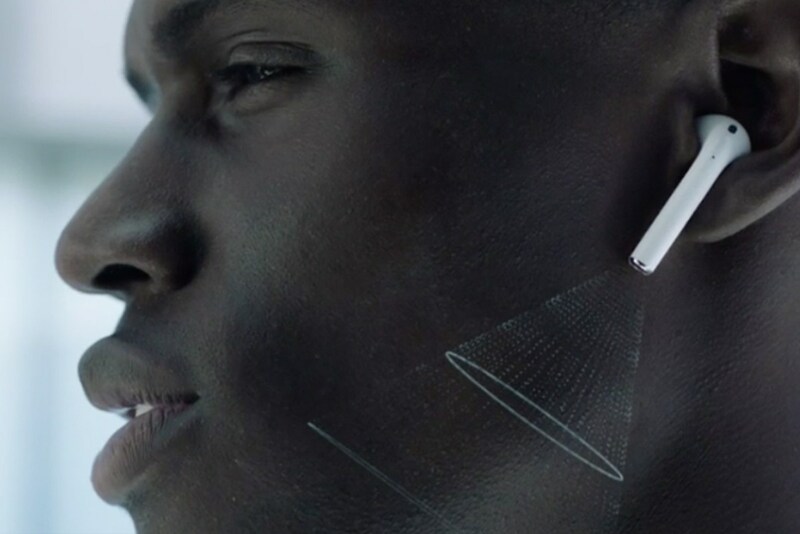 It may seem like just another bluetooth ear bud, but look again at the technologies embedded in the AirPod. It senses when it’s in your ear, uses accelerometers to detect motion. With a tap the beam-forming microphone accepts input to the Siri assistant which, like the Amazon Echo, is rapidly becoming a primary user interface to the internet. AirPods sync across all your Apple devices via iCloud placing the AirPod as a peer to the Mac, iPhone, iPad, Apple Watch. It’s an iPhone in your ear. Instead of finger gestures, you simply talk to it with a familiar vocabulary. It uses your hearing instead of your eyesight to communicate with you. The significance of this product to Apple is clearly evident. They have been working on this for some in order to develop a completely new W1 processor specifically for this purpose, and spent $3 billion USD to purchase Beats. It’s significant that Beats is now introducing multiple headphone models with the W1 processor installed, and presumably also capable of syncing with iCloud and all of your other Apple devices. Apple wouldn’t have invested this amount of resources for just another set of ear buds. AirPods is clearly a strategic investment for Apple. Think about how it could evolve. In fact, how long will it be before you no longer need an iPhone at all? For example, need to call someone? Just tap your ear and ask Siri. Or ask Siri to play a song for you, schedule an appointment, or check your messages. Ask for directions and your AirPod could wirelessly communicate with the GPS in your Apple Watch to give you a map, whisper turn-by-turn directions in your ear, mention a local coffee shop, tell you when the next bus is due at your location, or that the Uber driver you requested is waiting at the corner. With accelerometers it can sense if you’re moving or standing, or nodding or shaking your head in response to a question. 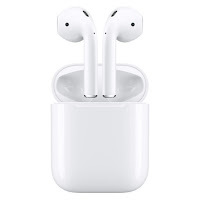 With AirPods you can hold your head up and walk down the street, ride a bicycle, or drive a car and not dangerously bury your face in an iPhone. It’s an intriguing vision of the future for mobile technologies comparable to Google glass in ambition but further along in execution. Even the name of the device, AirPod, is ambitious. They could have named it something else, but choosing AirPod harks back to iPod… a device that changed the music industry. There should be no question that Apple has large ambitions for the AirPod. The entire amount will be refunded if I can’t manage schedules after accepting a project. 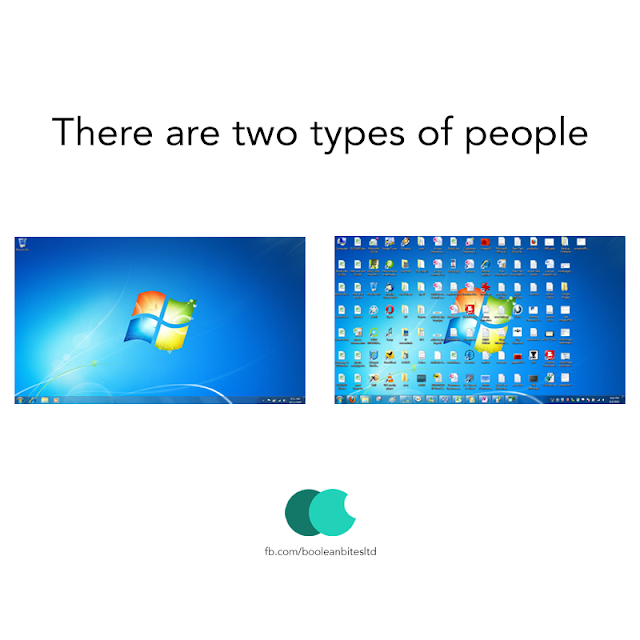 It categorizes the people based on how they keep their desktop and folders organized. and there are others who love to keep their desktop like chaotic mess. Both have their own arguments to defend the situation. I, being a computer user keep the desktop and every folder on files system clean and organized, ie this let me find anything within few clicks and doesn't require me to remember everything, like where did I put the timeline of particular project. Let us know in the comments how you prefer your desktop organization.